On Sale £ 785 - all incl (No hidden extras). 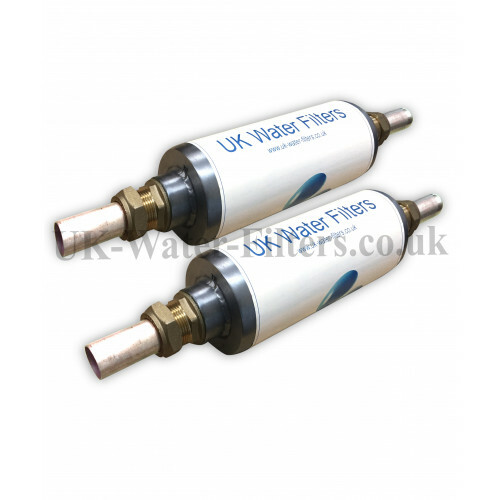 Top Quality, High Performing Water Filter for a Wide Range of Commercial Applications. Uses active ceramic filtration proven technology to produce extremely high quality filtered water. Plus the filter helps prevent scale forming and protect your water-using equipment and appliances. (If you already have a softener that's no problem. The filter will simply enhance its performance. 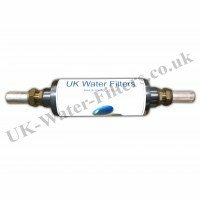 If scale is a primary issue for you contact us to find out how this filter can combine neatly with our low cost recommended anti scale water treatment). 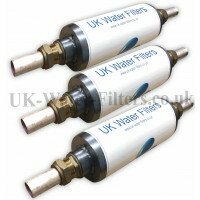 British designed and made - reduces your carbon footprint by reducing your "consumer goods miles"
Revolutionary patent pending new filtration media designed by British inventor with over 30 years experience in water filtration. Water takes less time to boil. What is the filtration method? Patent pending active ceramic beads comprising a mixture of dissimilar metals and minerals. When immersed in water these Active Ceramics display physical properties of semi conductivity, magnetic properties and light emission (in the far infra red spectrum). As water passes through the filter the action on the beads creates and electrolytic effect which removes up to 99% of chlorine, organic contaminants,VOC's (potentially toxic "volatile organic compounds"), heavy metals, and other harmful impurities. The active ceramics "Biocera (TM) " filtration media inside the filter is NSF certified. This is the internationally recognised American standard for drinking water media and products. The active ceramic beads have been classified as an approved product under the Water Byelaws Scheme - since replaced by the "Water Regulations Advisory Scheme" (WRAS) - as ‘suitable for use in contact with potable water’. Fitting the unit would require a plumber to put it in line with the relevant water supply. The job should take approx 2 hours. Full instructions supplied for the plumber. You will need to replace the used filter every 2 years. Totally recyclable... ... you send back the old filter. We refurbish it. Basically, your old filter is exchanged for a new one. Current price for renewing the unit is £785.00 plus VAT - assuming you send us back the original for recycling - for which we give you a refund. The active ceramics have won NSF42 approval. This is the internationally recognised American standard for drinking water media and products. The unit is about the size of a small box of cereal. It fits easily within a narrow kitchen base unit or small cupboard or toilet. It requires no electrical or other power or salt and can be left to produce super quality water throughout the home and garden. Fitted this for a client and good feedback so have recommended this to others and hope to fit a few more!